This package contains an assortment to forty (40) Pieces of Ephemera. A few of these pieces are accented with Gold Foil. Part of the Patio Party Collection by Pebbles / Jen Hadfield. 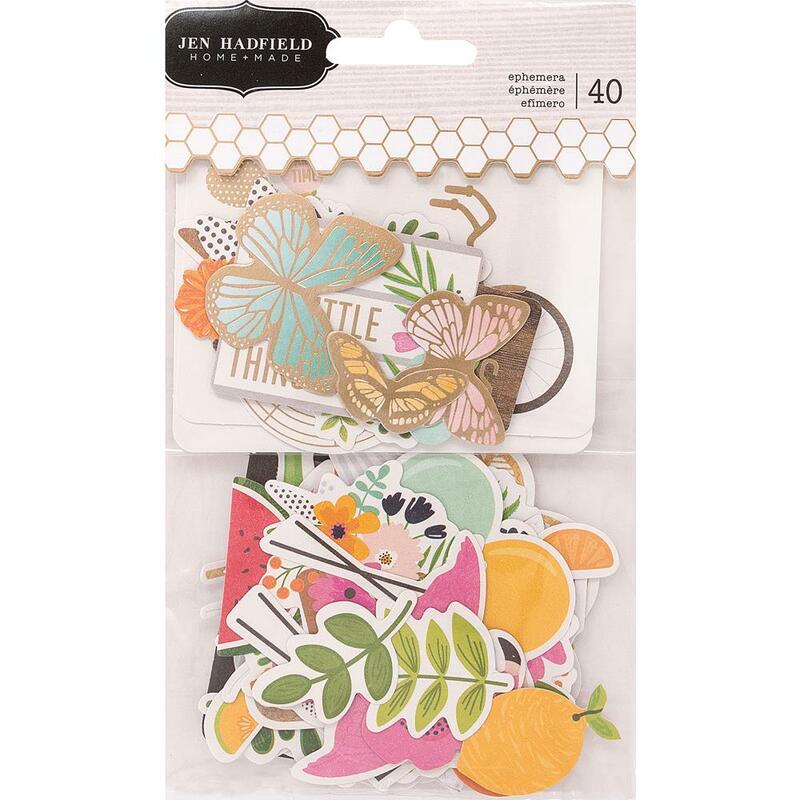 Look for coordinating selected Designer Papers, Stickers, Puffy Stickers and Dimensional Flower Stickers.